With the ribbon cutting at SEMA 2010 no more than a week away, participants are seriously starting to show off what they’re bringing. 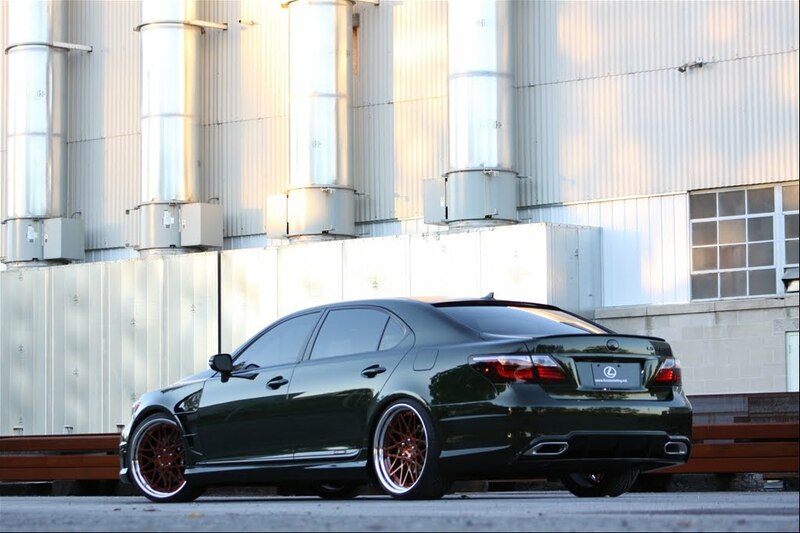 The latest news to come from them is being spread by Fox Marketing’s very own Brian Fox who is eager to reveal his tuned up Lexus LS 600h L.
The immense luxury sedan has now been turned by Fox Marketing into an immense showoff mobile as there is nothing civilized and discrete about it any more. 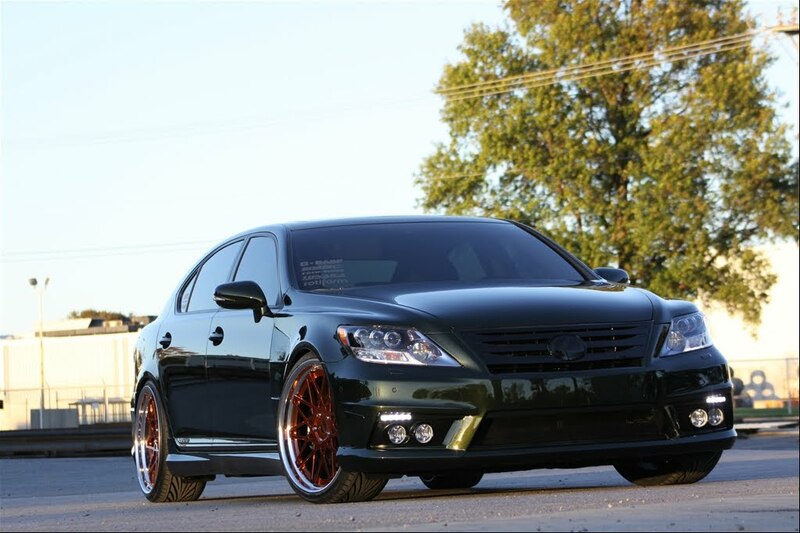 The list of modifications the Lexus LS 600h L suffered started with a fiberglass aerokit created by Artisan Spirits. The Artisan Spirits kit comes with new everything, bumpers, fenders, side skirts, wings, HID fog lights and a “smoking” treatment for the taillights. The Lexus LS 600h L “Brian Fox” also has a set of 20 inch Candy Copper wheels that look as if they are wire wheels and the appropriate rubber underneath them. As far as the interior is concerned the changes are relatively minute but the exterior still has one more trick up its sleeve. The exterior is painted in a dark green unique color called Glacier Green and it’s been touched up with Satin Black detailing.